As the sailing community digests the third fatal racing accident off Southern California in less than a year, local sailors say the latest tragedy has them re-evaluating their own vigilance when it comes to safety offshore. “I’ve had a chance to talk to a few people, and the overall sense among us is the need for all of us to take a fresh look at our equipment and to do what we need to be ready for these types of situations,” Len Bose, 52, who sailed aboard the Santa Cruz 50 Adrenalin in the race, told Soundings. 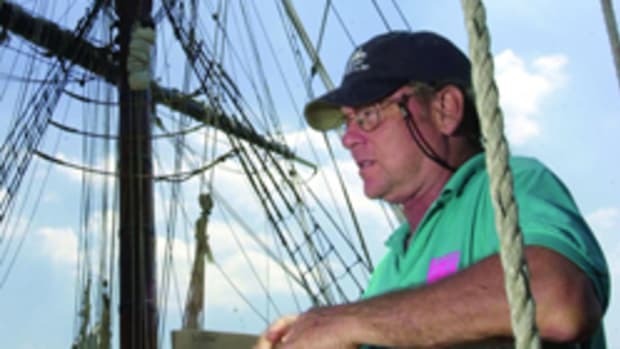 A yacht broker, Bose writes a weekly sailing column for the local newspaper, The Daily Pilot, and posts the column on his blog. He is one of many to join the online discussion of last weekend’s fatal accident and the inherent danger that comes with the sport they love. Uncontrollable Urge, a Columbia Carbon 32, broke apart Friday, March 8, in 8-foot surf on the rocky coast of California’s San Clemente Island after its rudder failed. The crew was competing in the two-day Islands Race, a 139-nautical-mile sprint from Long Beach to San Diego. Published reports say that after the rudder failed the crew was unable to set an anchor and tried to deploy a life raft, which may have escaped their control. The boat reportedly drifted closer to shore and began breaking up in the surf, forcing the six sailors on board to abandon ship. Five were rescued on San Clemente Island. Craig Williams, 36, a husband and father, was unresponsive when pulled from the water. Click play for an ABC News report on the tragedy. The crew had issued a mayday call and activated the DSC feature on their VHF at 9:26 p.m., according to the Coast Guard. They initially declined assistance from the Coast Guard and fellow race competitors. “In hindsight, I think their biggest mistake was they had an opportunity to receive assistance, and for whatever reason … they missed that opportunity,” Bose said. The Coast Guard reported 8-foot swells and 20- to 25-knot winds, with a small craft advisory in effect. Bose and others who raced say winds were closer to 30 knots in the lee of San Clemente Island. 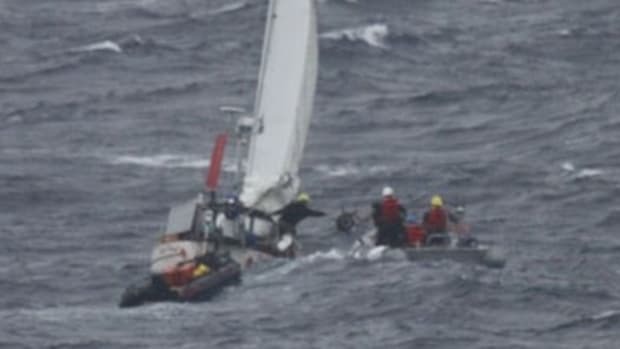 This latest West Coast race tragedy follows the April 14, 2012, deaths of five aboard the Sydney 38 Low Speed Chase after it rolled in breaking waves during the Full Crew Farallones Race. On April 28, the four-person crew aboard the Hunter 376 Aegean died after a hard grounding on North Coronado Island in the Newport-to-Ensenada Race. 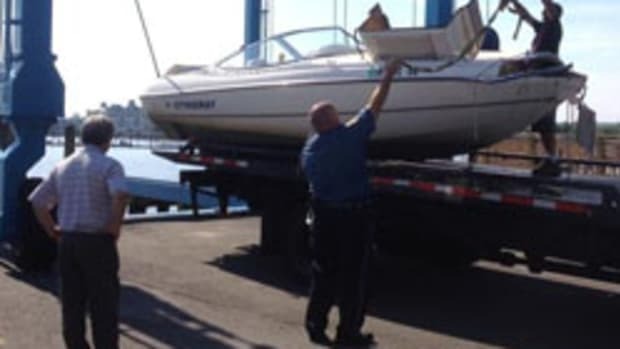 With nine sailors dead before the start of the 2012 summer sailing season, the Coast Guard suspended offshore racing in the San Francisco area, pending the completion of a US Sailing inquiry into the Low Speed Chase accident. An independent panel determined that Low Speed Chase had sailed too close to the lee shore in shoal water. Click here for the full report. A second US Sailing panel found that a key element of the Aegean accident was probably an “inadequate lookout” and that the vessel likely inadvertently motored beyond a waypoint set before North Coronado Island. Click here for the full report. Both panels offered numerous recommendations. No announcement regarding an investigation into the Uncontrollable Urge accident has been announced by US Sailing, the Coast Guard or any California governing body.